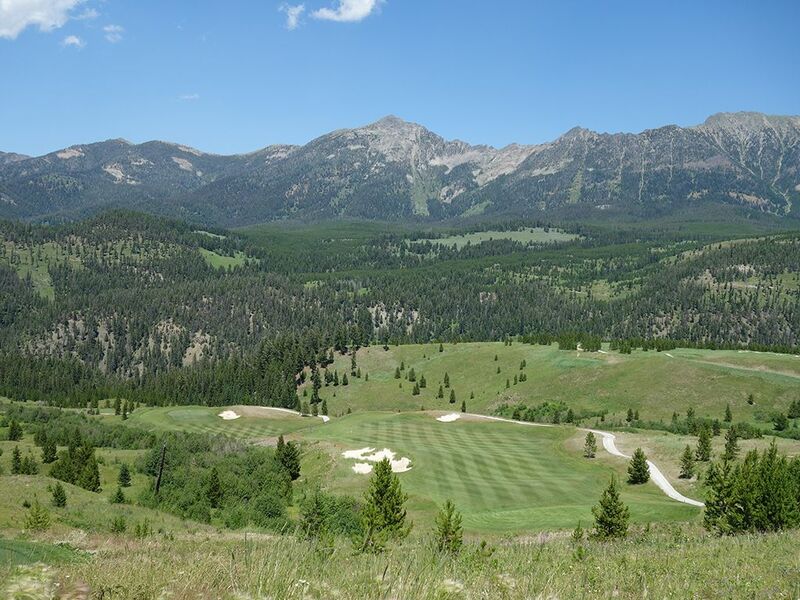 Course Website: Official Website - Visit The Reserve at Moonlight Basin's official website by clicking on the link provided. 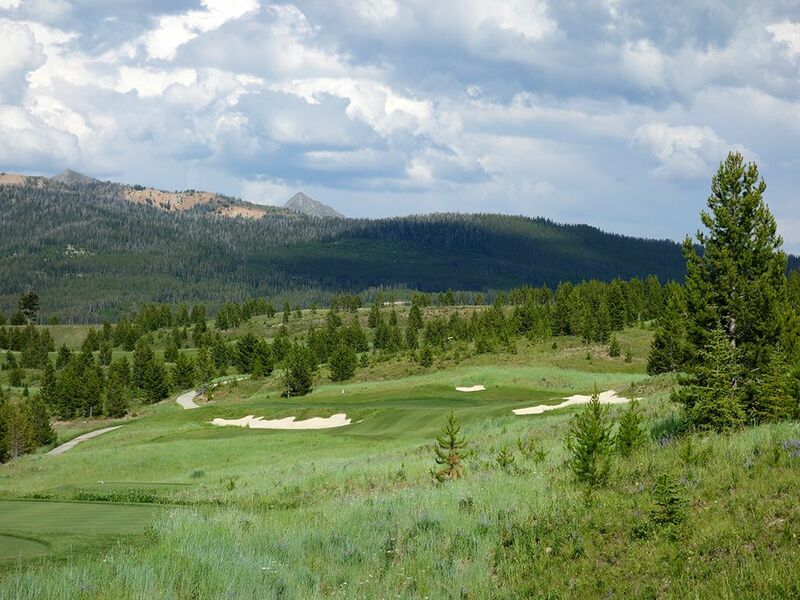 Accolades: Ranked 2nd in Montana on Golf Course Gurus' Best in State list. 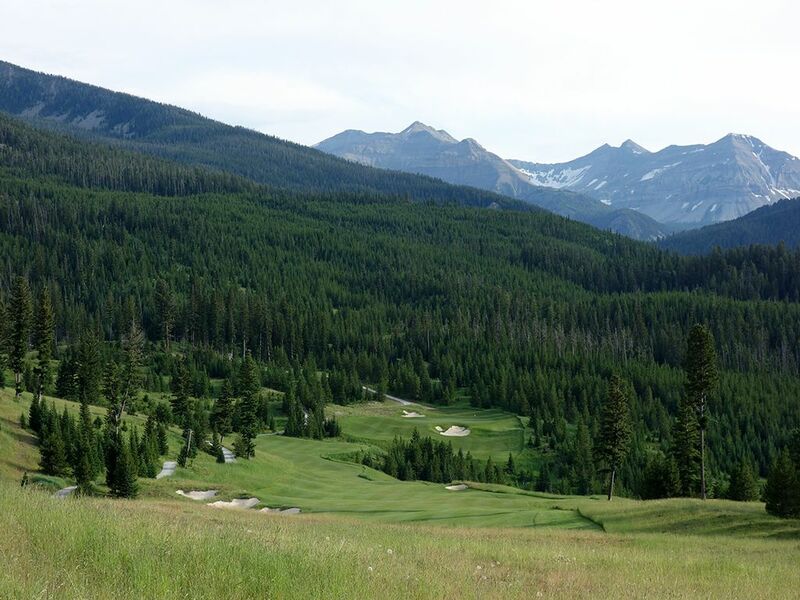 What to Expect: Moonlight Basin is a stunning layout located on the back side of the mountain where most of the development has occurred near the ski hill of Big Sky. This secluded location provided an impressive amount of property for Jack Nicklaus to work with and an opportunity for his imagination to run wild. The extreme nature of the terrain made it necessary to design a course that would never be walked and instead focused on unearthing the finest holes available. 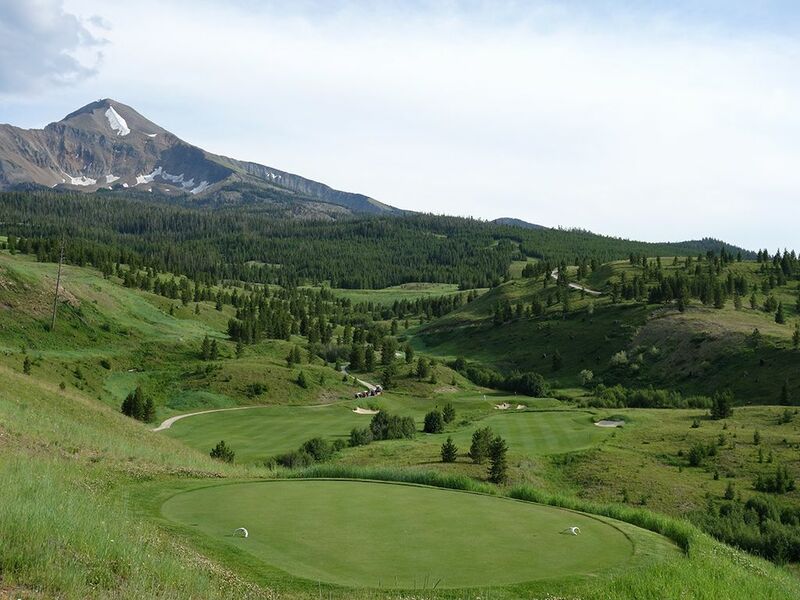 The result is a course with some of the most memorable and scenic holes you'll ever encounter at a mountain layout. 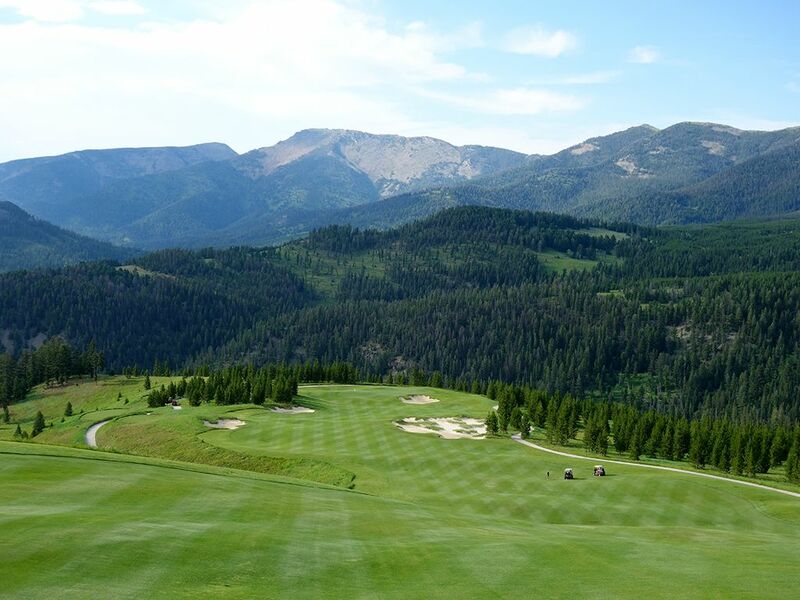 The course sits at 7500 feet elevation and tips out at an impressive 8000 yards with several hundred feet of elevation changes experienced throughout the round so you can imagine the variety of shots you get to experience. The tone is set early with the opening tee shot playing a couple hundred feet downhill as your ball experiences more hang time with your driver then you've likely ever had before. Due to the terrain there are a couple places where there is a significant drive from a green to the following tee, but it also provides a good chance to just sit back and soak in your surroundings. 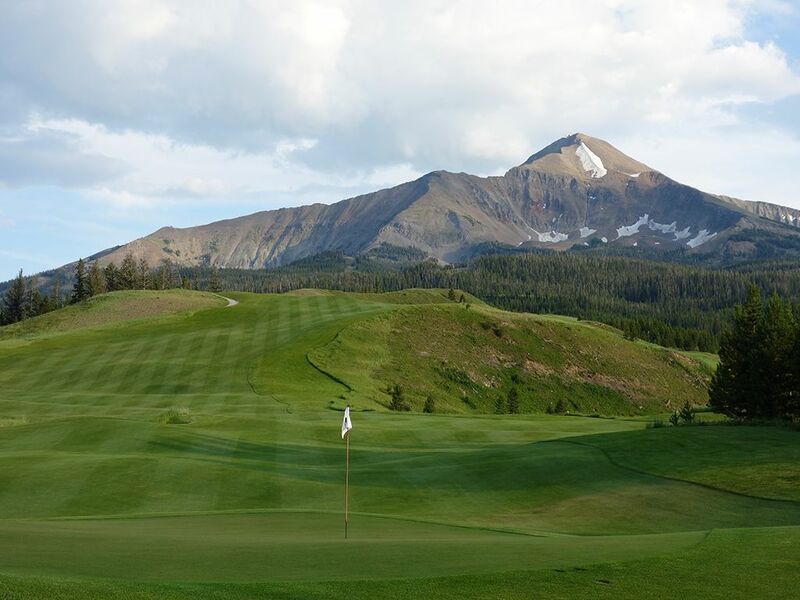 Not only are towering, snow capped mountain views plentiful at Moonlight Basin, the bunkering has an artistic flare and adds to the strategy and visual enjoyment of the course. As a collection, the par fives are as a good of a group as you'll find; especially since there a five of them. This is because the back nine features three par 3s, three par 4s, and three par 5s which is becoming increasingly popular among newer designs because it is simply more fun. Even at 8000 yards there are times that the best play is not driver off the tee so Jack doesn't sacrifice strategy in an effort to demand length. In addition to the golf course, there is a sizable driving range and small four hole practice area next to the clubhouse that will allow you to dial in both your long and short game. At the transition from the 12th green to the 13th tee is a comfort station loaded with all sorts of goodies to help you get through your round. With an assortment of jerky, energy bars, candies, and beverages, patrons are sure to get the boost they need to tackle the back nine. 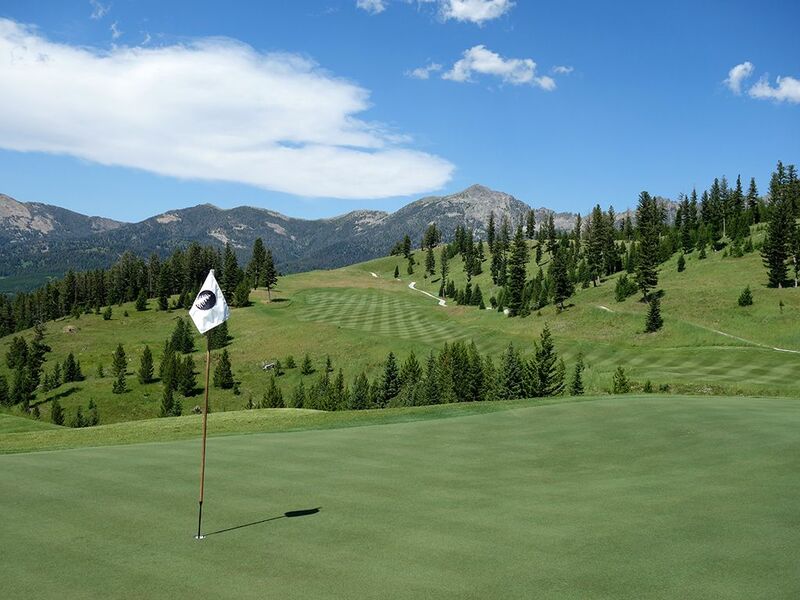 All in all, Moonlight Basin exceeded my expectations with a wonderfully secluded property, intimate facilities, and a golf course that is a masterful blend of fun, challenge, and beauty. Signature Hole: 17th Hole – 777 Yard Par 5 – That is not a misprint, the 17th is an astounding 777 yards but is much easier to reach then you might think considering you are at 7,500 feet elevation and the fairway tumbles a couple hundred feed downhill to the green. From the back tee there is a bunker 370 yards away in the middle of the fairway and stands as a great aiming point. From the tee there is little indication of the drama of this hole which quickly unfolds when you reach the center bunker and suddenly see the fairway plummet downhill and are afforded an inspiring view of the golf hole and mountain backdrop. From the forward tees players will have an opportunity to hit their drive past the center bunker on the right side and enjoy a whopping 150 yards of roll down one of the steepest fairways I've ever encountered. From there it becomes a great birdie opportunity as reaching the green in under regulation becomes a very real possibility, and even if you don't get passed the hill with your tee shot, the downhill second shot will carry plenty of extra yardage and set up a shorter approach than you ever imagined looking at the scorecard initially. Bottom line, this hole is fun and that is always a good thing. 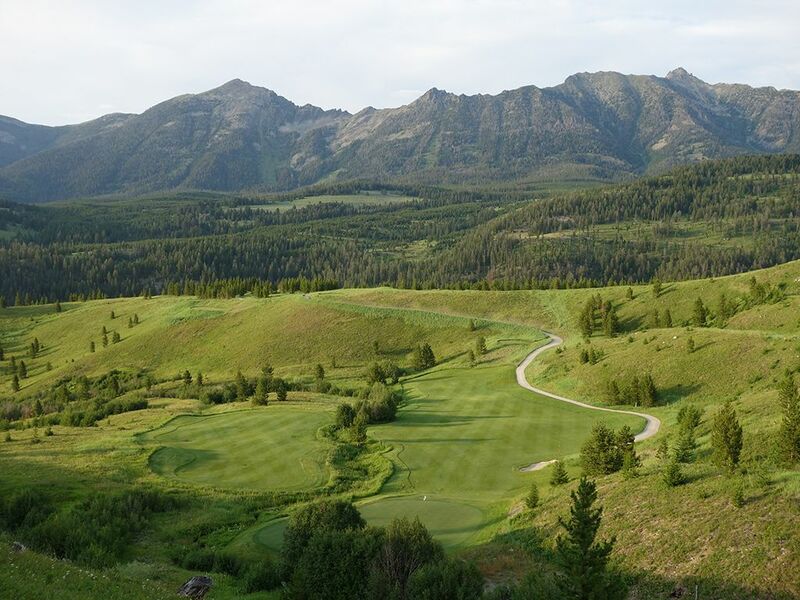 Best Par 3: 7th Hole – 180 Yards – With a property as dramatic as Moonlight Basin's it would be easy to simply create a collection of nothing but downhill par threes, but Jack wisely incorporated a variety of design elements in his one-shotters including the uphill 7th. The hole is modest in length, especially at 7500 feet elevation, but the tee shot plays over a natural pond to a tiered green set at the base of a forest of trees. The back right pin location is the most difficult to approach while pins on the left side are more accessible due to the sloping and shape of the green. The setting is gorgeous with a feeling of total isolation from the world as you soak in your natural surroundings highlighted by a peak towering above the trees and still sporting snow along its face in July. Best Par 4: 1st Hole – 463 Yards – Without a doubt, this is one of the most memorable and dramatic opening holes I've ever come across. 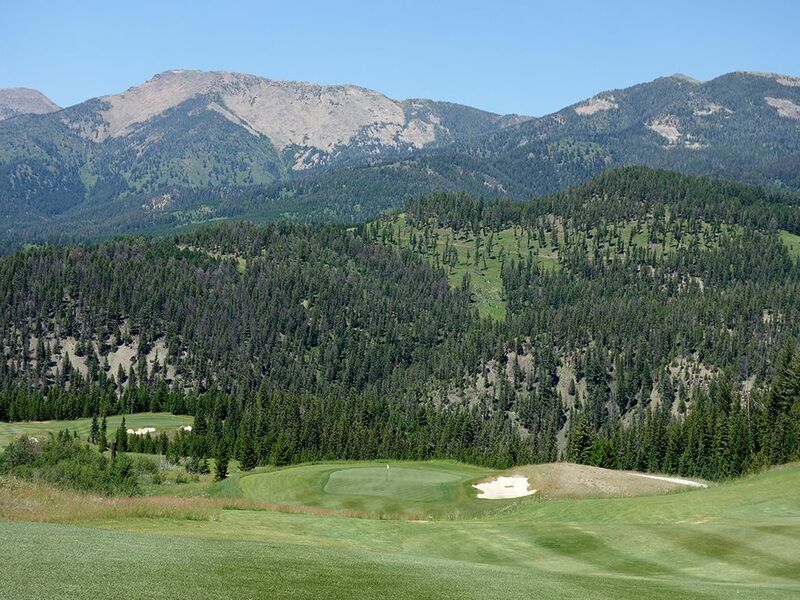 Along the same lines as the drop on Mr. Nicklaus' opening hole at Castle Pines, the first tee shot at Moonlight Basin delivers an incredible mountain background and huge elevation drop down to the fairway below. The safe shot is less than driver to the fairway on the right that avoids the bunkers and sets up a potentially blind approach to the green. Never one for playing it safe, I took out my driver with dead aim at the lower fairway on the left and hit one of the most inspiring tee shots of my life that was nothing but pure pleasure to watch as the ball flew through the air with the backdrop changing from blue sky, to mountain vistas, to green fairway with remarkable hangtime. Not sure if I had made it to the fairway or not, I hit a 3-iron provisional followed by a 225 yard 6-iron (playing at elevation does wonders for the ego) onto the green. When we embarked to the lower fairway my playing partner and I started cheering as if we discovered a hole in one when we found my tee shot had indeed made it safely over the massive forced carry and onto the grass. My Bushnell Tour V3 confirmed that my drive had covered 370 yards enroute to its resting place including about 360 yards of carry from the tips. Did I mention how fun it is to play a 7500 yards? What a great way to start the round! Best Par 5: 6th Hole – 633 Yards – Before our round I asked one of the pros what his favorite hole on the course was and he answered, without hesitation, #6. 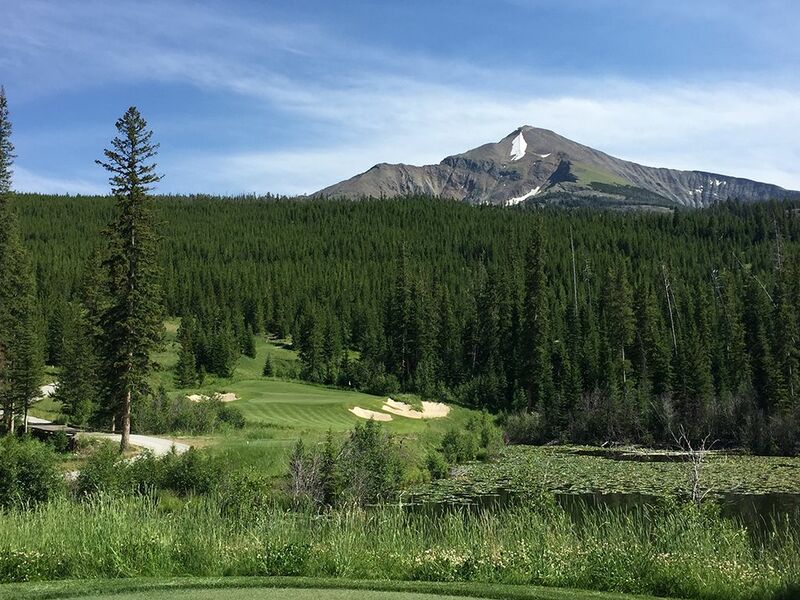 When I got to the tee I could quickly see why as players are afforded an inspiring view of the three major mountain peaks of Big Sky and an engaging downhill par five in front of you. The tee shot is ideally played towards the center-right fairway bunker 370 yards in the distance which provides the most direct route to load up and take a rip at reaching the green in two. The approach from this side requires a forced carry over a foliage heavy area that thrives on eating golf balls while the safe play is up the left side where the fairway opens up and provides a nice angle to the putting surface. 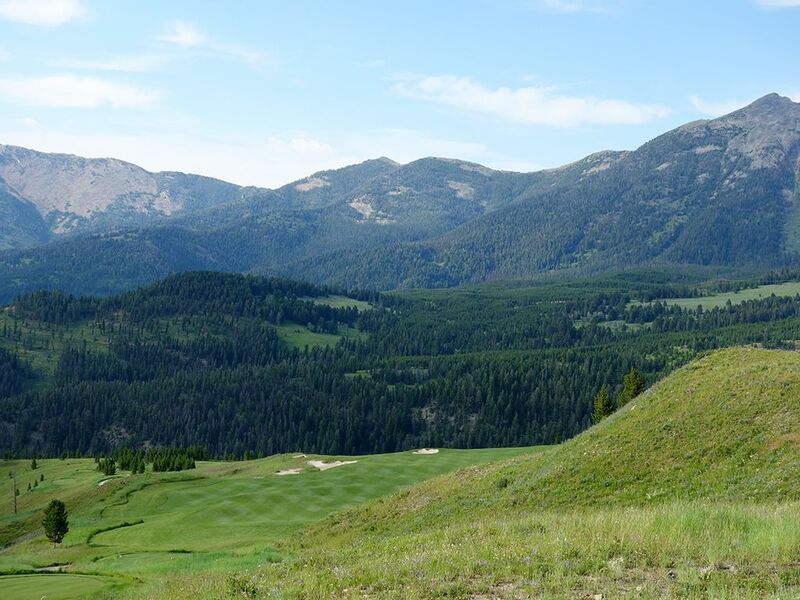 As improbable as it may seem to reach a 633 yard hole in two, the huge drop from tee to fairway coupled with the thin mountain air allowed me to go reach the fringe with a 5-wood on my second shot with a slight breeze behind me. I should note, that the collection of par fives at Moonlight Basin is one of the best I've ever discovered and stands as a major highlight to the course. Birdie Time: 18th Hole – 354 Yard Par 4 – The closing hole in an intriguing one with players being faced with a split fairway divided by a tree lined stream. The shorter route plays to the right but requires more length and accuracy to find a safe landing spot while the left side offers significantly more safety and is the direction the vast majority of players will favor considering the advantage gained doesn't really reward the risk wagered going to the right. In stroke play this hole seems like a gift to finish on as the degree of challenge is low, but in match play it could be quite fun as players feeling good about their game may try to hit their drive up the left side near the green in an effort to get up and down for a closing birdie. Even if you play it safe off the tee you will likely be left with a wedge in your hand and a great chance to stuff it close and walk off the course by taking one last stroke from Old Man Par before retiring for the day. Bogey Beware: 14th Hole – 286 Yard Par 3 – Even in thin mountain air, 286 yards for a par three is one stout challenge to take on. Playing pretty flat in elevation from tee to green, there is no cheating the distance and players may actually elect to use Billy Casper's strategy from the 3rd hole at Winged Foot and just lay up in hopes of then getting up and down for par. While the 4th hole lays claim to the #1 handicap designation, and is worthy of it, you'll likely be playing your approach shot from less than 286 yards and have a better chance of reaching the green in regulation than this challenging one-shotter offers. Pars here are rare and birdies are virtually non-existent.